Korean ginseng is used on a short-term basis for improving stamina and concentration, and longer-term to improve well-being, especially in the over 50’s, and is now one of the most extensively studied herbs in use today. Korean Ginseng Vegetable Capsules is one of Solgar's premium quality botanical formulas. 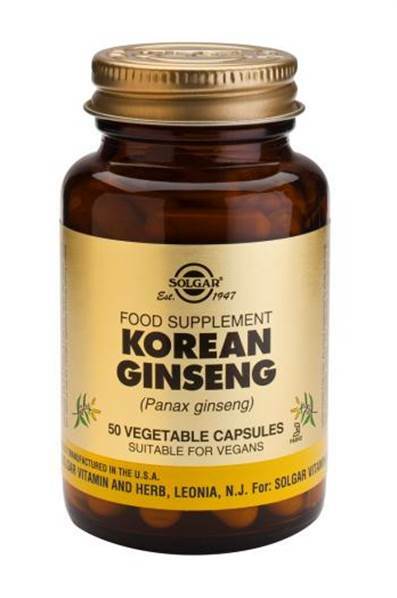 Korean Ginseng Root Extract Vegetable Capsules is one of Solgar's premium quality botanical formulas containing standardised extracts. Korean ginseng is used on a short-term basis for improving stamina and concentration, and longer-term to improve well-being, especially in the over 50’s, and is now one of the most extensively studied herbs in use today. 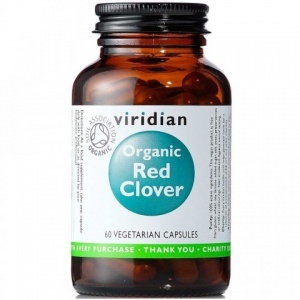 SUGGESTED USE: As a food supplement for adults, one (1) to three (3) vegetable capsules daily, preferably at mealtime, or as directed by a healthcare practitioner. Do not exceed directions for use. If you are pregnant, nursing, taking any medication or have a medical condition, please consult your healthcare practitioner before taking this product. Helps combat the symptoms of menopause including hot fushes & night sweats.